NICOSIA.- (CNA) — The Republican Turkish Party of Mehmet Ali Talat is leading the “parliamentary elections” in the Turkish- occupied northern part of Cyprus with 35.5% of the vote with 90.4% of the ballot boxes counted. The National Unity Party of so called “prime minister” Dervis Eroglu comes second with 32.8%. Third is the Peace and Democracy Movement of Mustafa Akinci with 13.46%, followed by the Democratic Party of Serdar Denktash with 12.7%, the Nationalist Peace Party of Ertogrul Hasipoglu with 2.9%, the Solution and EU Party of Ali Erel with 2.2% and the Cyprus Justice Party with 0.6%. Up to the time Greek News was going to the press, the situation with the was described as very volatile and no one could make a certain prediction about the outcome. If there the parties percentages stay unchanged, RTP will take 19 “seats”, compared to 18 for NUP, 6 for Democratic Movement and 5 for Democratic party. Mehmet Ali Talat, leader of the Republican Turkish Party (RTP), currently leading in the so called “parliamentary elections” in Turkish occupied Cyprus, has said that the people have given him the authority to negotiate on their behalf for a settlement. 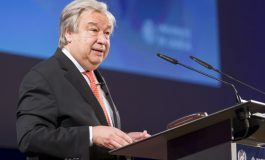 He pledged to change the current status quo and bring to Turkish Cypriots peace and accession to the European Union and reiterated his claims for vote rigging by Turkish Cypriot leader Rauf Denktash. ”People gave me the authority to be the negotiator for them,” Talat said at his party headquarters, with more than 70 per cent of the votes counted. He said ”we are going to change this status with peace, solution and the European Union” and called on the Turkish Cypriots to act together. The Turkish Cypriot community is represented at UN-led peace talks by community leader Rauf Denktash, who in March this year rejected a peace proposal on a comprehensive settlement. Talat said the majority of the Turkish Cypriots decided that they want peace and EU membership and said he would keep his promises and open the way to the EU for Turkey, bring about a solution, peace and accession to the EU. ”We do not want to quarrel with any one. We had very hard times until now. 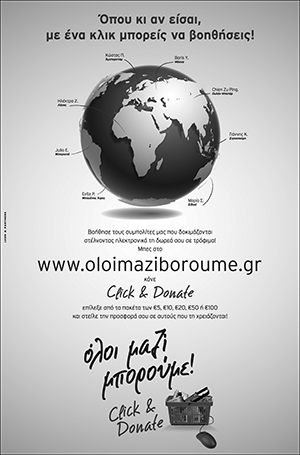 A very difficult period is coming up for the Turkish Cypriots. We will succeed if we act with solidarity,” Talat added. The leader of the Peace and Democracy Movement Mustafa Akinci said that what is important is the future of Cyprus, neither his Movement’s nor his own future. He said he would comment on the result later on but noted that as things stand the ”seats” will be equally divided between the forces opposing and those supporting Rauf Denktash. President Tassos Papadopoulos said the government would welcome an ”electoral” victory of the political forces that oppose Turkish Cypriot leader Rauf Denktash but warned that no false hopes should be nurtured that the outcome of yesterday’s poll in Turkish-occupied Cyprus will lead us to a political settlement. 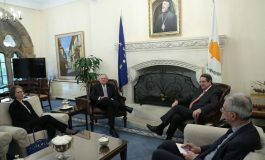 Papadopoulos stressed that decisions on the question of Cyprus are taken in Ankara and said that at present there is no indication that Turkey wishes to see a solution before May 1, 2004 when the Cyprus Republic joins the European Union. 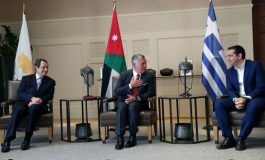 He called on the Turkish Cypriots to help end the illegal occupation of the island’s northern part and to help reunite the country so that both communities can reap the benefits that European Union accession will bring. ”We would be happy if the opposition wins the vote but we must be clear, we should not build up hope that the outcome of these elections will lead us to a political settlement,” the President stressed. ”So far there are no such indications, we should not forget that the occupation continues, the Turkish army and Ankara continue to control the occupied areas, and that we are not talking about legal elections but about illegal elections in an illegitimate territory which is trying, through this poll, to promote its international recognition a step higher and present it as a political and legal entity,” the Cypriot President added.